so they delayed their claim. but its half life is too short to confirm this. to participate in chemical reactions. and eventually enable the production of something useful. 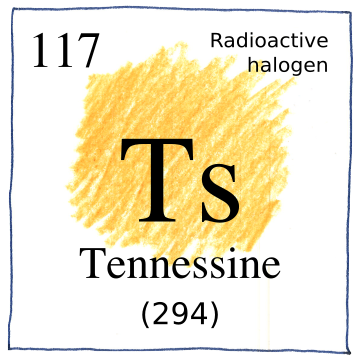 Production of californium for a commercial order using the Oak Ridge National Laboratory high-flux reactor in Tennessee allowed the separation of berkelium-249 for the production of tennessine in Dubna. After successfully synthesizing tennessine and enough of the bekelium-249 had decayed to californium-249, the scientists at Dubna were able to confirm their earlier synthesis of oganesson.